'Finstagram' is the new social media trend you need to know about | HELLO! August 17, 2016 - 15:13 BST hellomagazine.com Have you got one? Instagram is used by more than 500 million people around the world, with 300 million of us logging in every day to keep up to date with the latest posts and share photos from our daily lives. But just how authentically do our own posts reflect who we really are? It turns out many teens have started building their own personal brands on the social networking site and have been creating carefully curated accounts to reflect their lives for hundreds, and sometimes thousands of followers. However in a bid to showcase the most authentic versions of their lives, some are setting up a second Instagram account – ironically called 'Finstagram', or their fake Instagram account. These are a place for day-to-day musings which are published for a smaller group of friends, where you might moan about your day, how you're feeling ill or don't have money to go out. Whereas on your 'real Instagram' account or 'Rinstagram', you may post about your holidays, meals out and selfies. 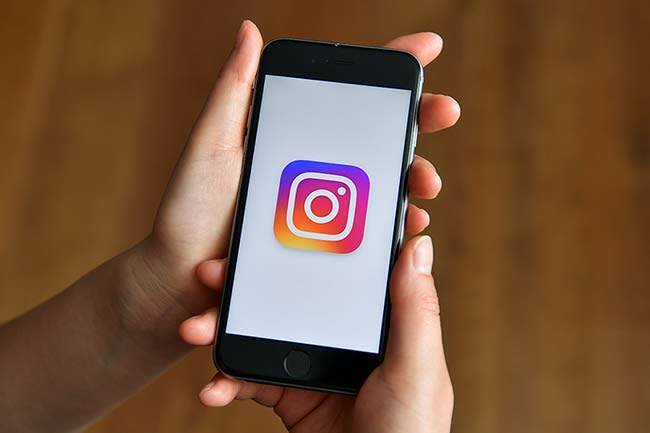 Paul Booth, associate professor at DePaul University's College of Communication, said that some teens are creating "finstas" as a way of dealing with the obsession with image that many of them have to face. "Any social media account is a reflection of ourselves and they're very curated," he told Teen Vogue, adding that one of the appeals of having different social accounts for different audiences is that you can show an authentic reflection of yourself without worrying about how many likes you get or being judged by followers. Have you got multiple Instagram accounts? What do you think of the trend?